Growing up with a mother who was a dietitian, Cindi Kramer knew the right way to diet. But the 59-year-old says she was cursed with an insatiable appetite, which made it difficult to stick to any diet long term. 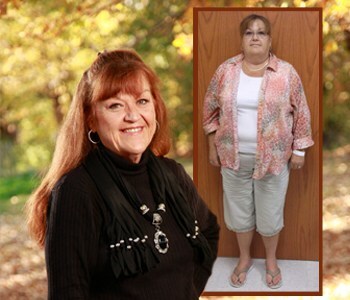 Since the surgery, Kramer has lost 130 pounds, reduced the number of blood pressure pills she needs and stopped her cholesterol medication. Additionally, her migraines have disappeared. Kramer, who lives in Jackson and owns a plumbing company with her husband, has found that she no longer craves foods as much as she used to. She had to eliminate some foods from her diet, such as bread, rice and soda, but she does not miss them as much as she thought she would. Instead, she has watched with glee as the pounds have melted away each time she steps on the scale.